In honor of President Jeremy Travis, who will step down on August 1, 2017, John Jay College has launched the Jeremy Travis Scholarship for Study Abroad to increase opportunities for student study abroad. The scholarship will help undergraduate and graduate students participate in immersive cultural and academic experiences that they otherwise could not financial afford. During his tenure, President Travis has worked to expand study abroad programming at the college. Over the last eight years, 679 John Jay students have benefited from such transformative opportunities, learning about key institutions and the practices of distinct cultures. 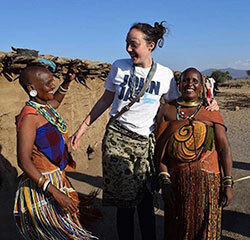 Having personally experienced the impact of study abroad, President Travis has made preparing students for global citizenship a cornerstone of the John Jay mission. Honoring his legacy through the study abroad scholarship will have a significant impact on current and future John Jay students. The average summer study abroad program costs $3,000-$5,000, an expense out of reach for many students at John Jay. Donations to the Jeremy Travis Scholarship for Study Abroad fund will help to provide life-changing experiences to deserving students. 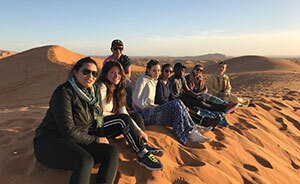 By funding students with financial need, the scholarship will expand the number of students traditionally underrepresented in study abroad including first-generation college students, those in law enforcement, ethnic minority students, LGBTQ students, and student with disabilities. To help John Jay students explore justice on a global scale, DONATE here. For more information, call 212-393-6810.